The practice of evidence based medicine (EBM) involves the judicious use of the best available evidence to inform decisions that lead to better care. By seeking, synthesising and summarising all available studies on a given topic, systematic reviews play a vital part in contributing to this process. Systematic reviews can also reduce waste. By ensuring that new research should not be undertaken before a systematic assessment of what is already known or being researched. Unnecessary research not only wastes resources but, more importantly, could harm patients. Many governments and international organisations recognise the influence that systematic reviews can have on informing healthcare decision making. The UK government, for example, provides core funding, via the National Institute for Health Research (NIHR), to a dedicated, systematic reviews programme. In the USA, the Agency for Healthcare Research and Quality (AHRQ) have a dedicated programme to produce systematically derived evidence based reports. While the World Health Organisation (WHO) have a dedicated guide on how evidence synthesis can be used to support global health policy. However, despite all these opportunities, there are systemic failings with the publishing, reporting, and interpretation of much of the evidence base, which undermines the findings of systematic reviews. Furthermore, complex clinical and policy questions often require the use of multiple data sources, viewed through different lenses and incorporating more advanced evidence synthesis methodology. 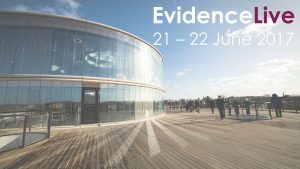 At EBMLive 2019, we will review some of the benefits, challenges and future perspectives to support the increased and systematic use of existing evidence. Day 1 of the programme will begin with talks from three global leaders in the field starting with Andrea Tricco who is the Director of the Knowledge Synthesis Team Li Ka Shing Knowledge Institute, St. Michael’s Hospital, Canada. You will also hear from Gerald Gartlehner head of the Department for Evidence-based Medicine and Clinical Epidemiology at Danube University, Krems, Austria. And from Ruth Garside who has been supporting evidence synthesis for national and international policymaking for over a decade. Day 1 will also include a workshop led by Jon Brassey, Director of the Trip Database. Trip is the internet’s leading tool for finding evidence fast. It’s free, has a global following and has been searched over 100 million times. 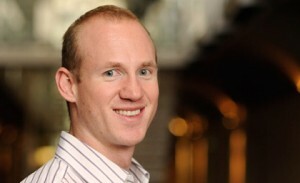 Jon will provide the audience with his perspectives on finding better evidence in the digital world. Many parallel workshops will also be part of Day 1 including “Stakeholder Engagement in Systematic Reviews”; “Refining the E in EBM: developing better evidence” and “Improving the Reporting and Assessment of Harms”. There is more. But rather than tell you about it, why don’t you come and join us at EBMLive19? If you have an interest and passion for better health care, you won’t regret it. Competing interests: KM receives funding from the NHS NIHR SPCR Evidence Synthesis Working Group and the NIHR Health Technology Assessment programme.